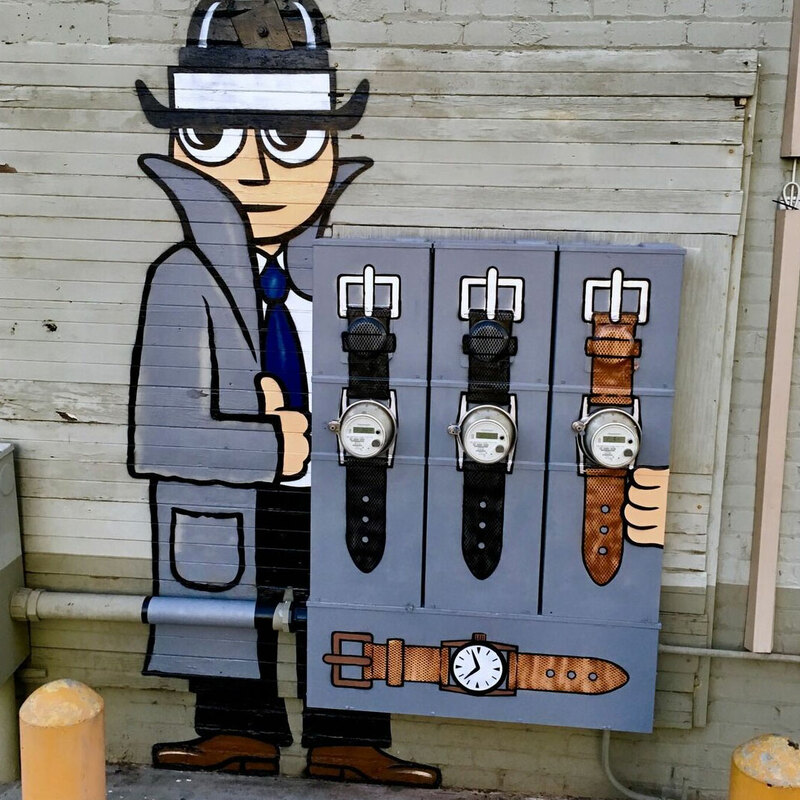 Tom Bob is a international street artist based in the Northeast region of the United States. He finds objects such as pipes, electrical meters, security cameras, etc. and turns them into fun whimsical characters. You can see his work on his Instagram page at @tombobnyc.